American Society of Clinical Oncology: "Understanding Immunotherapy." 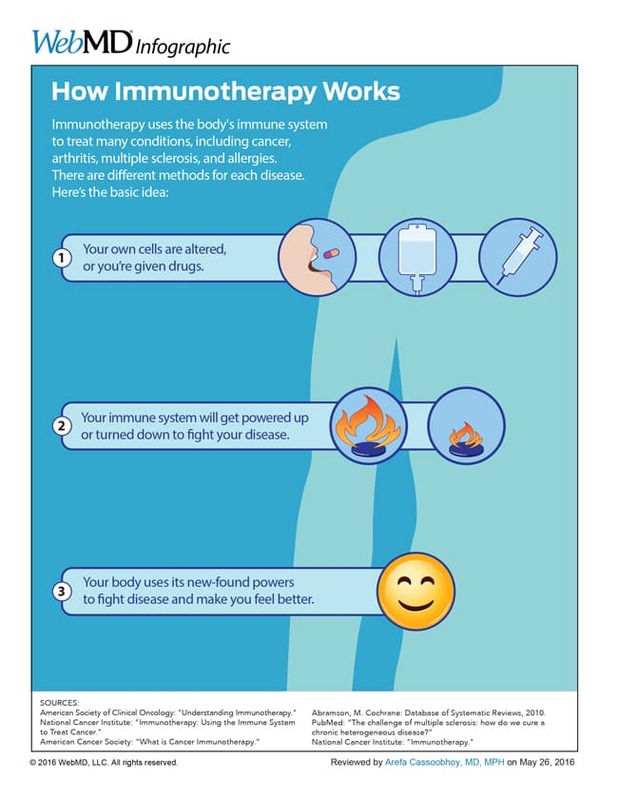 National Cancer Institute: " Immunotherapy: Using the Immune System to Treat Cancer." American Cancer Society: "What is Cancer Immunotherapy." Abramson, M. Cochrane Database of Systematic Reviews, 2010. PubMed: "The challenge of multiple sclerosis: how do we cure a chronic heterogeneous disease?"